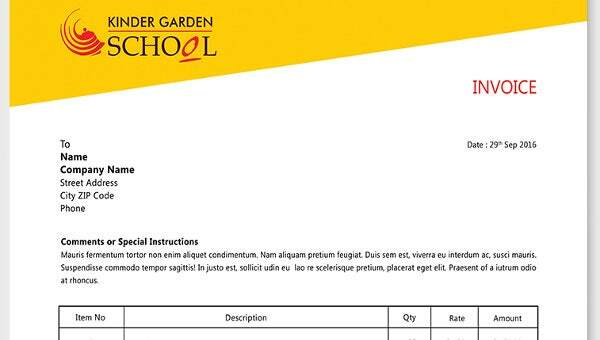 A well-organized invoice can say a lot about the good status of your kinder garden school, so start using the appealing invoice template that structures all the content neatly. 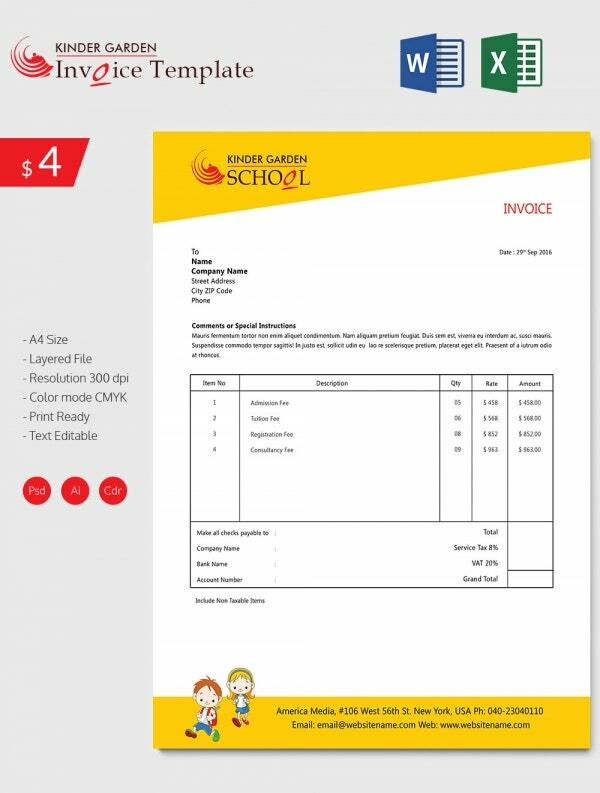 From the name of school to the address of it, this invoice holds up every bit of information that you would like to share it with the kid’s parents. This intriguing invoice template displays the table with description of the various fees that has to be paid. The date of the invoice is mentioned above to notify the month of fees, the invoice is directed and you can download this extremely amazing invoice at low prices in various file formats.